Humber, William. 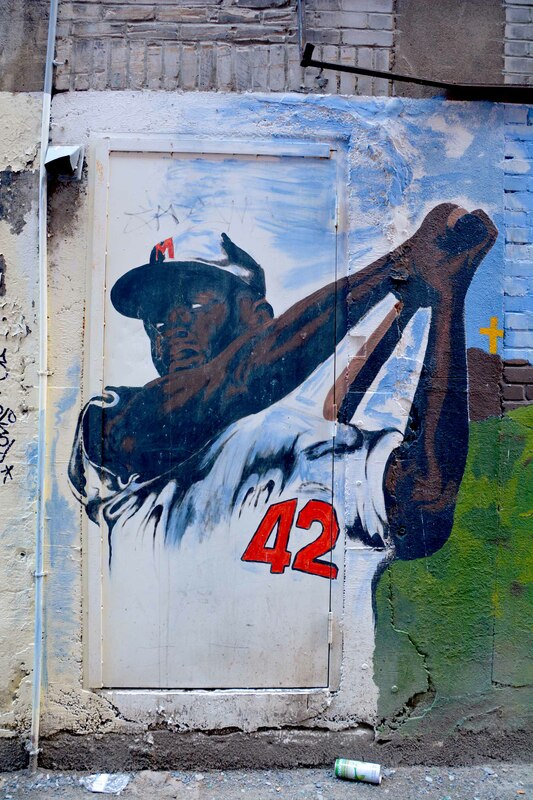 "Ferguson Jenkins". The Canadian Encyclopedia, 24 May 2018, Historica Canada. https://www.thecanadianencyclopedia.ca/en/article/ferguson-arthur-jenkins. Accessed 23 April 2019. Ferguson "Fergie" Arthur Jenkins, CM, baseball player (born 13 December 1943 in Chatham, ON). Arguably the finest Canadian-born baseball player, Jenkins began his major-league career in Philadelphia before joining the Chicago Cubs in 1966. Ferguson "Fergie" Arthur Jenkins, OC, baseball player (born 13 December 1943 in Chatham, ON). Arguably the finest Canadian-born baseball player, Jenkins began his major-league career in Philadelphia before joining the Chicago Cubs in 1966. In 1967 he began a six-year string of 20 or more pitching victories per season. A control pitcher, he rebounded from a disappointing 1973 season to win 25 games for the Texas Rangers, the team to which he had been dealt in 1974. He was traded to the Boston Red Sox (1976) and, after another period with the Texas Rangers (1977–81), signed with the Chicago Cubs again in 1982. Released by the Cubs prior to the 1984 season, his pitching record includes 284 wins, 3192 strikeouts, a remarkable strikeout-to-walk ratio of 3.20 and one of the best records of putouts by a pitcher (363). He won the Cy Young Award for pitching excellence (1971), the Lou Marsh Trophy as Canada's outstanding athlete (1974) and was Canadian male athlete of the year four times. Jenkins made an unsuccessful bid as a Liberal candidate in the 1985 Ontario provincial election and, since 1988, has farmed near Oklahoma City, Oklahoma, and been a part-time minor-league pitching coach. In 1987, he was elected to the Canadian Baseball Hall of Fame and in 1991 he received baseball's ultimate honour when he became the first Canadian elected to the Baseball Hall of Fame in Cooperstown, NY. Jenkins was made a member of the Order of Canada in 1979. In 2009, the Cubs retired his jersey (#31).